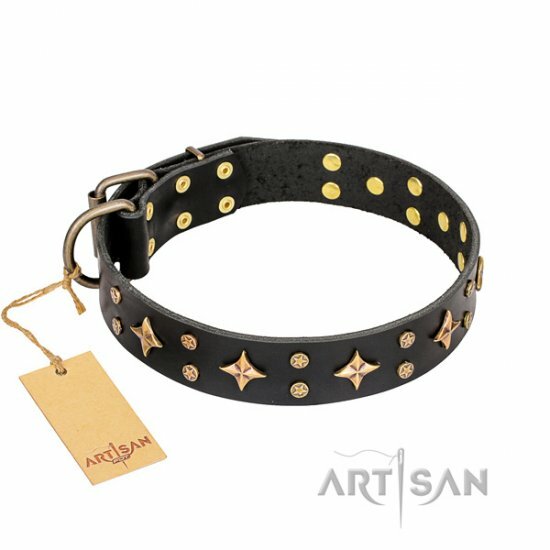 To tell you the truth, if a dog does not let you to take a muzzle on it and is not willing to wear one taken on it by you, than it is a problem of your hierarchic relations with a dog. A dog must allow everything to a leader! 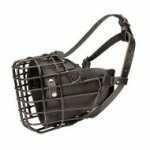 Also there appear problems in the case if a muzzle is hurting a dog. 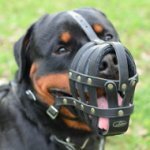 A muzzle should be lightweight, loose, allow a dog to open its jaws and turn its tongue out, hygienic and not hurting a dog and surroundings. 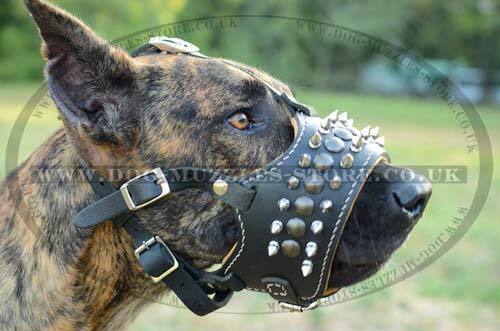 Muzzles made of thick leather have all these characteristics, that well keep form and at the same such muzzles are elastic. 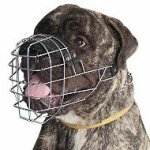 Metal muzzles are good looking but at strokes with a head they may hurt the heater and the heating one, besides, it is unpleasant to touch these muzzles with tongue and skin in winter. Try yourself. 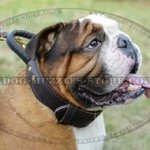 Tight dog muzzle is uncomfortable for a dog as well as tight cloth or shoes are uncomfortable for people. 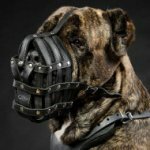 If you have no time to spend for managing of your hierarchical relationships with your dog, try to represent a dog muzzle as a sign of very important or pleasant event for it. 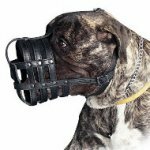 And then a dog will be eager to wear a muzzle. Why a dog is exiting and happy, when you take off its leash and collar, and some dogs put their head and bring a leash to their owner? Because they are the signs of so important and pleasant event as a walk! 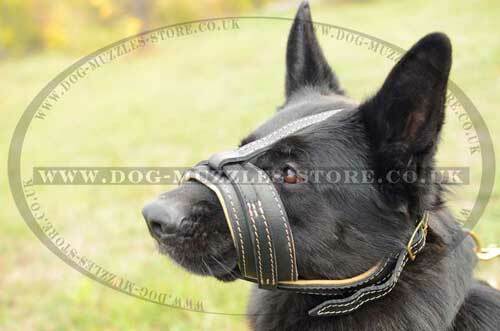 And if a muzzle will become a sign of a walk, one of conditions for a walk, it will raise positive emotions as well. 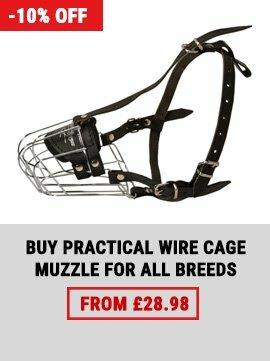 So, if you want to train your dog to wear a dog muzzle with glad, go out with a dog only with a muzzle on and never without one. 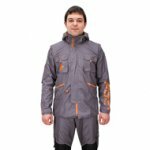 At first take a muzzle on and go fast out and then at once take it off. 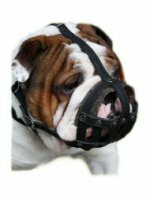 Then gradually prolong the time of muzzle wearing and several times while a walk take it on and off. If a dog tries to rub a muzzle off too active, and frightening intonation and pulling of leash demanding alternate actions ("With me! 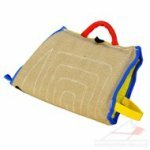 ", "Sit! ", "Lay down!") do not work, take a muzzle off and give a scolding to a dog. You may slightly slap a dog, then take a muzzle on again and at once change your anger to favor, and praise a dog with glad voice. Or meet a dog halfway, take a muzzle of and the same moment go back home or to an entrance. Stay there for 3-4 minutes, tell the favorite dog order "Walk! 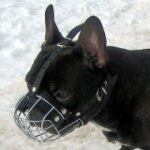 ", put a muzzle on a dog and go out to walk. 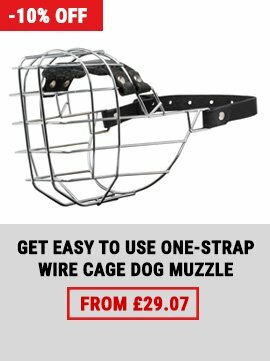 After tiring training exercises let a dog for a happy break only wearing a muzzle. 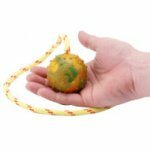 If your dog is not trained to a perfect obedience of some commands, for example, "With me! ", you may put a muzzle on it for the time of training to this command, stopping its attempts to rub it off repeating the command "With me! 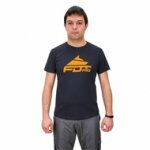 ", and it means to walk beside the owner nobly without drawing off attention. 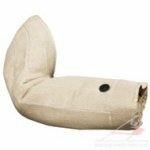 It is very useful to feed a dog through a muzzle, and less feed it without a muzzle. 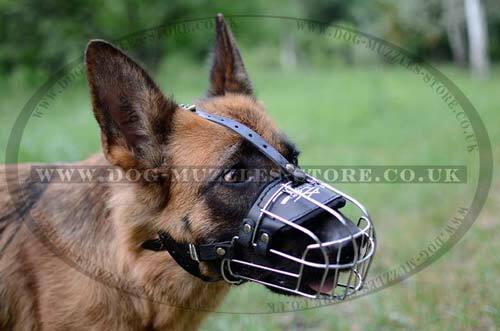 Try not to treat a dog rude at once after taking a muzzle on or while stopping its attempts to take it off. If you will bound the wearing of muzzle with unpleasant results, further it will be difficult to prove the reverse for a dog.